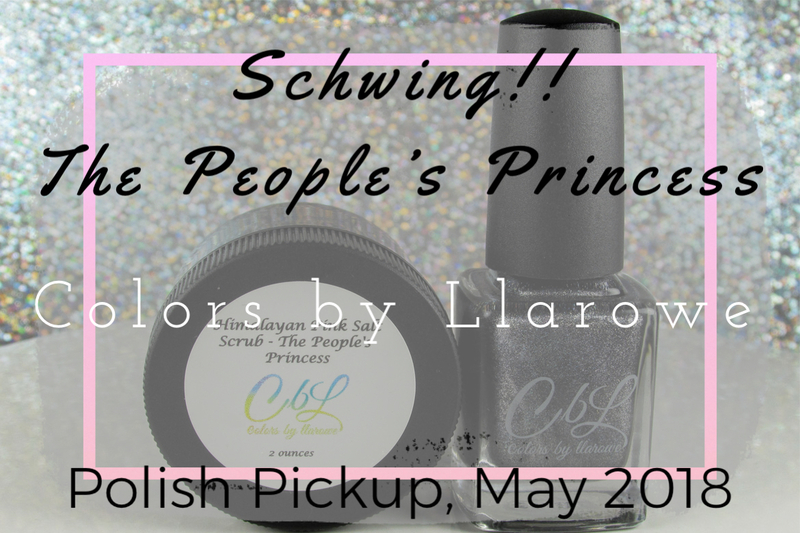 We have another unlikely mash-up for Polish Pickup! This time, Wayne’s World meets Princess Diana! We can thank Colors by Llarowe for bringing us this fantastic duo from the 90’s! I hear the name Princess Diana and immediately start singing Candle in the Wind! Before I get carried away, let’s get right into the PPU recap and then to the goodies! 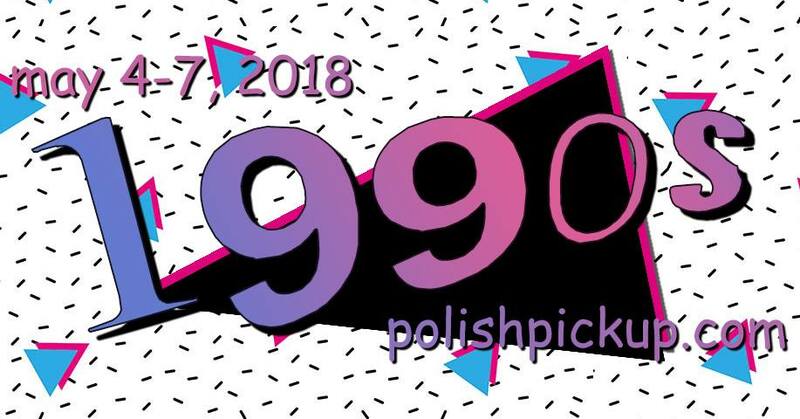 Polish Pickup is a fun Facebook Group where members submit and vote for one theme for the month. Afterward, indie makers create a polish or product based on the decided theme. Members can make purchases through the Polish Pickup website during the four-day shopping window, where you can pick as little or as many items as you desire. The flat rate shipping price of US $3.00/CAD $5.00 is the cherry on top. 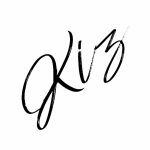 Evidenced by its rapid growth, PPU is a very clever concept that has introduced me to many new indie brands, as well as given a wider stage for smaller, well-loved ones. It’s been a really long time since I watched Wayne’s World but as soon I heard “Schwing! !”, well, that just took me right back! “Schwing! 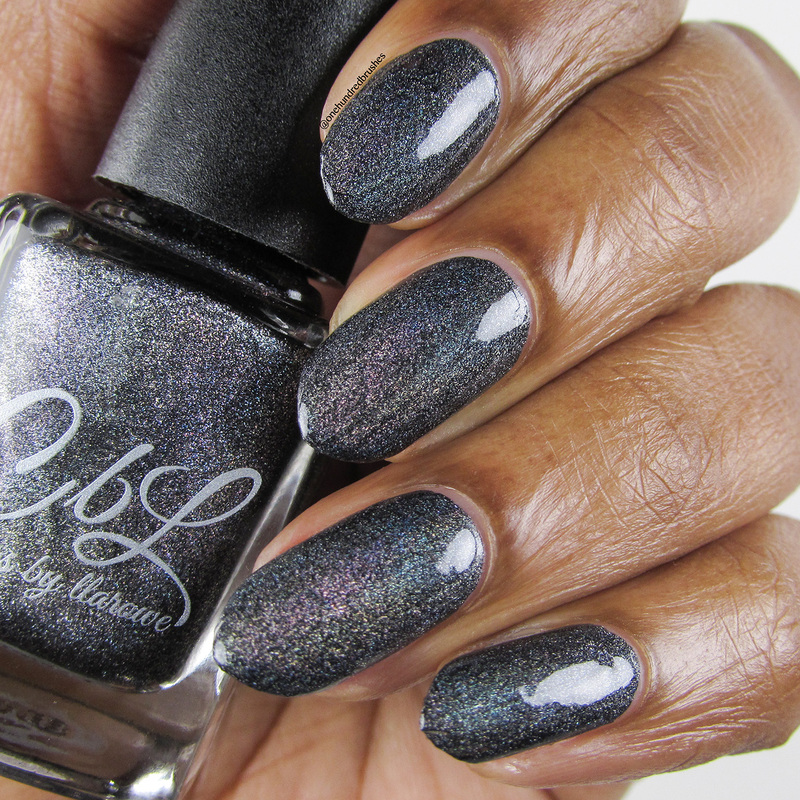 !” is described as charcoal black prismatic linear holographic with a blue and blonde rainbow. From my photos, you can see that you get a lovely rainbow shift over that charcoal base. It’s truly glorious! 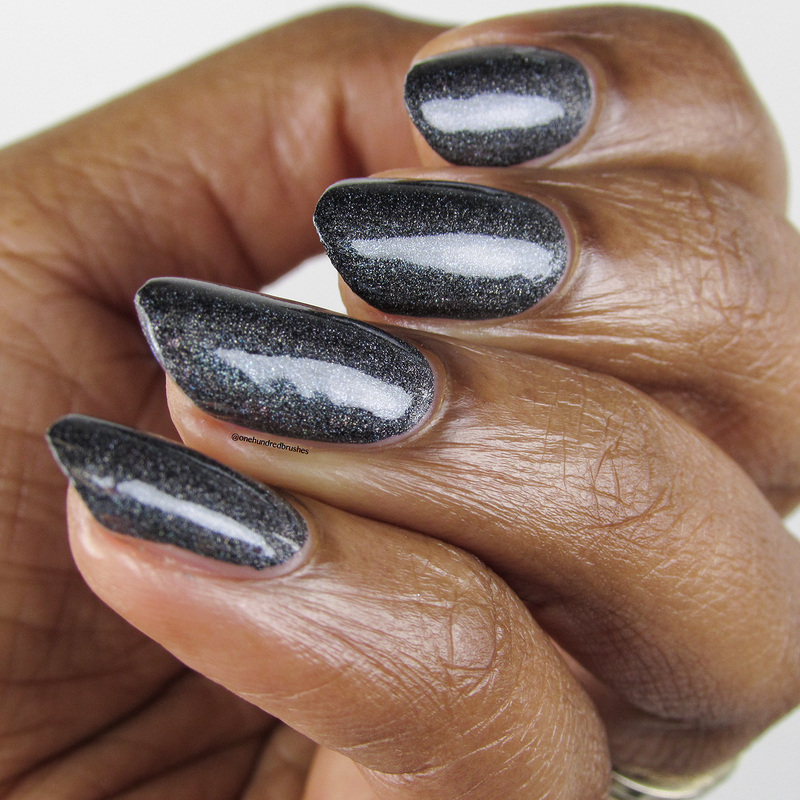 The polish formula is outstanding! 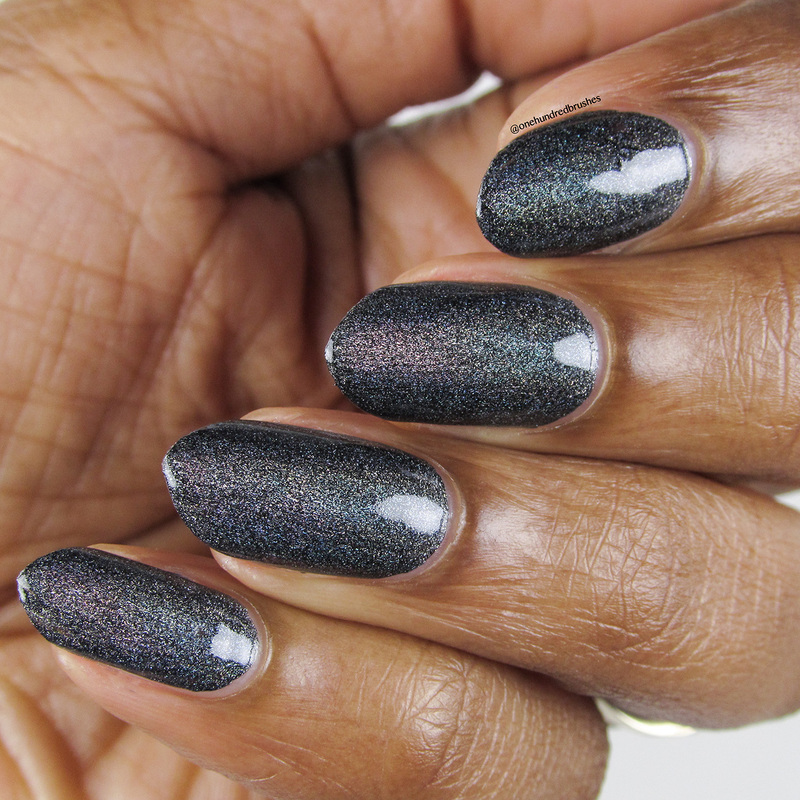 I’m wearing just one coat with a glossy top coat. 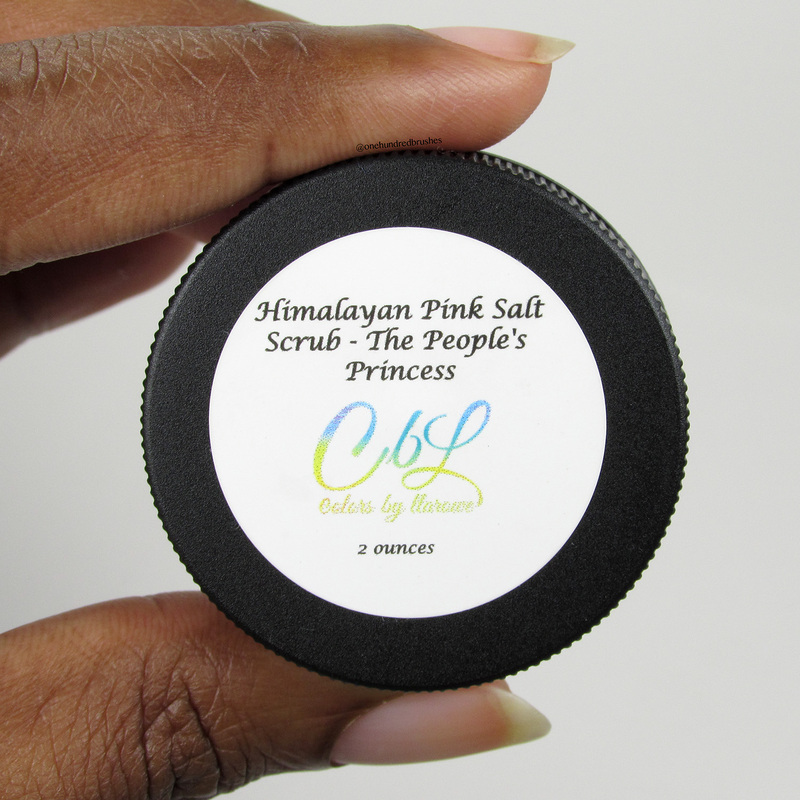 The People’s Princess is a Pink Himalayan Salt scrub enriched with a mix of all natural and organic oils, including neroli and helichrysum essential oils and scent with a beachy fragrance. 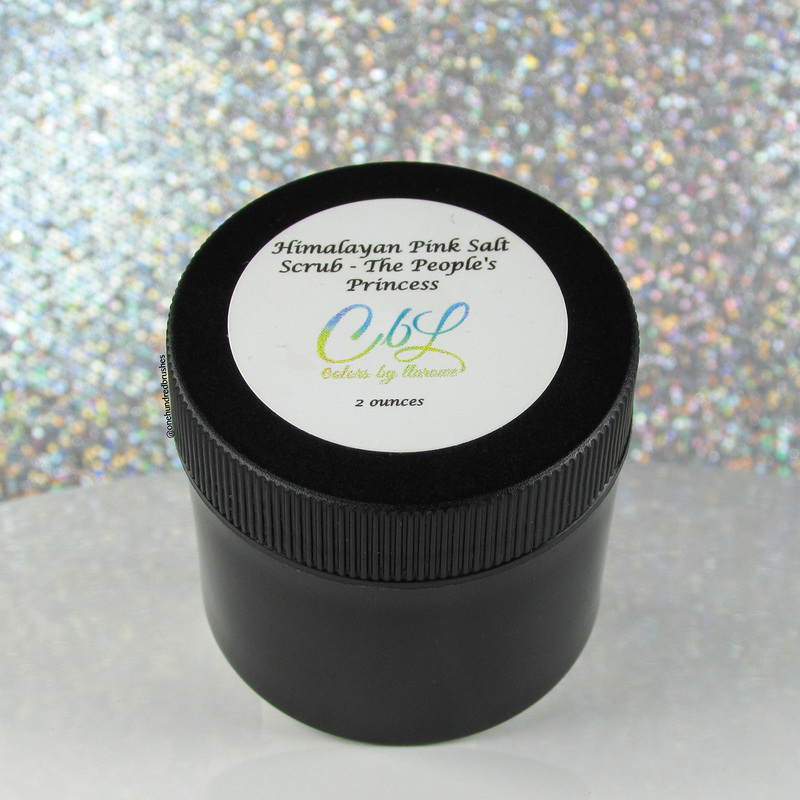 To use, I scooped out a small amount and massaged into my damped hands, concentrating on my palms and cuticles to help slough off dead skin. I washed it off with warm water and towel dried. 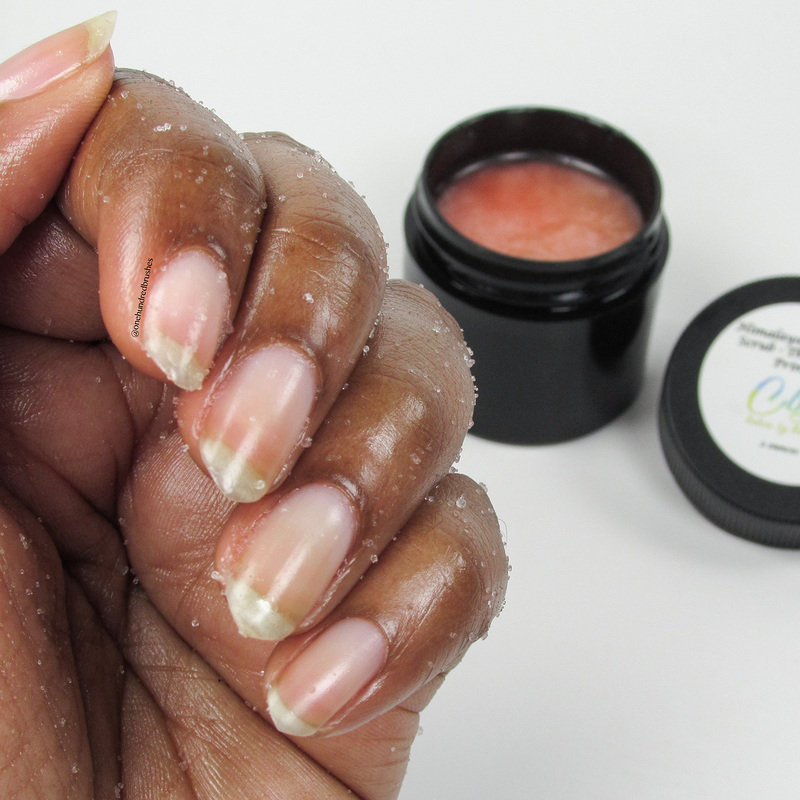 There’s a lot of oils in this scrub and I love how soft and smooth it made my hands feel. I asked my husband, Sam to feel my hands after using the scrub and he used the word “supple” to describe them. He had an enlightened face and everything! I also enjoyed the clean, salty scent and was able to pick up some citrus notes in there as well. 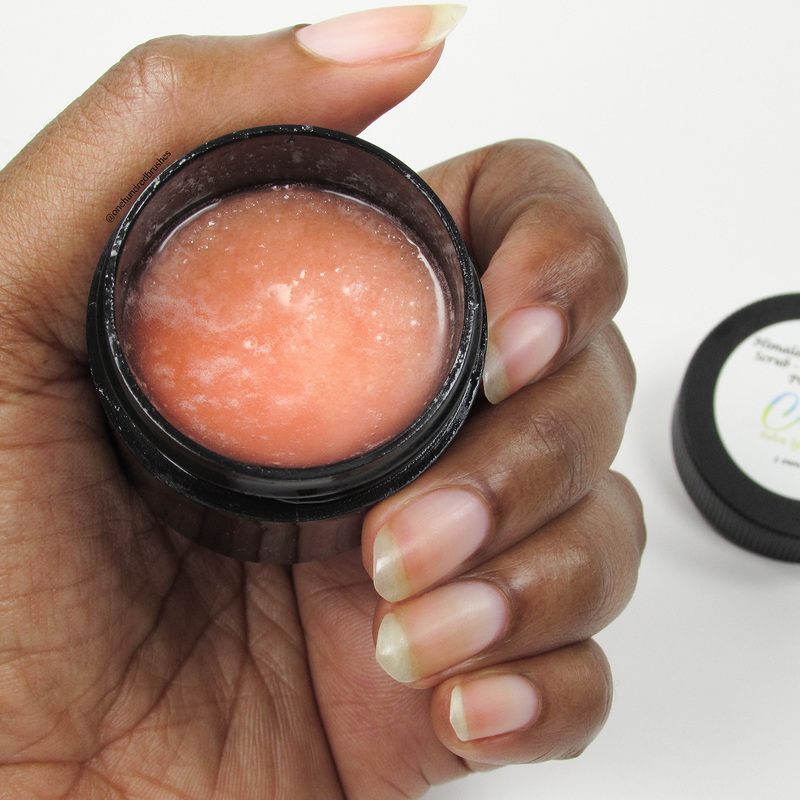 After rinsing off, my hands did not feel particularly dry or tight, which is a plus for my dry skin. I still ended up having to moisturize afterward because extra moisturization is what my skin needs. 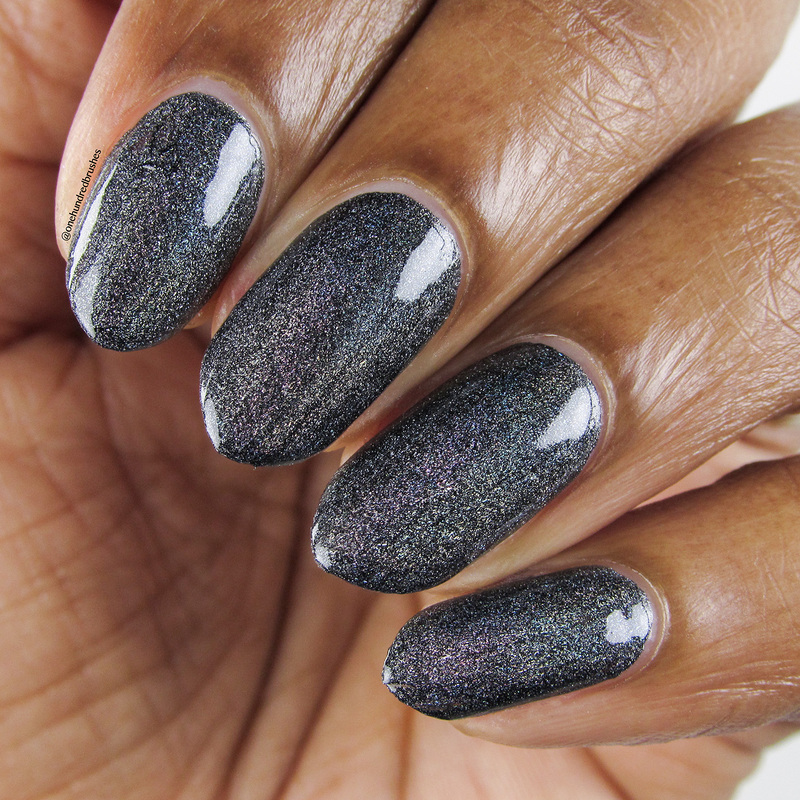 For a live show and swatch of Leah Ann’s products and other items available this round of Polish Pickup, don’t miss Delanie of Fat Cat Pawlished‘s live events on Facebook! Have you created your wishlist for PPU yet?